Morning, Friday has arrived with vigor. Today the post is going to be different. Which five museums are the best in Georgia? Let’s take a look….. I visited this museum for the first time last year and I love it. There were so many exhibits to look at and I had little time to explore the whole museum, but I will keep coming back. The one exhibition I wanted to see was Go West! Art of the American Frontier and I wasn’t disappointed. It was everything I expected to be. All the art shown was in prime condition, that goes for the other exhibits I was able to explore. I’m planning a next trip later on this year. Never been to this museum, but just looking at their website, I wouldn’t mind planning a visit. 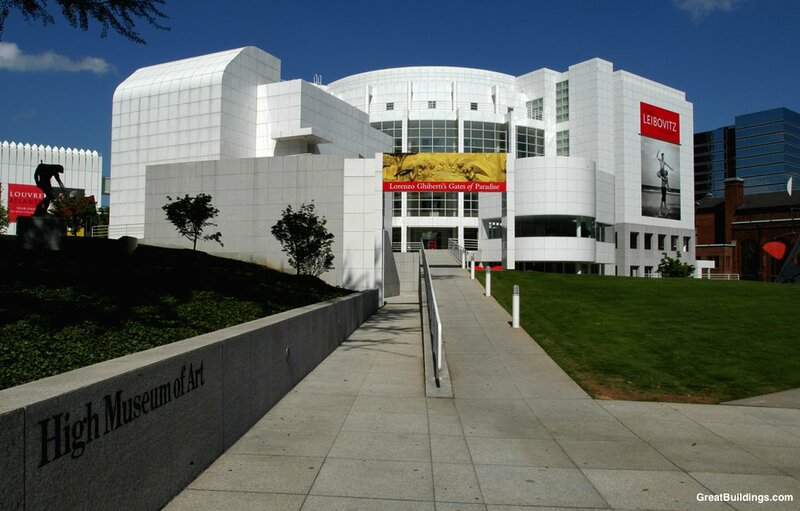 Not only is it a museum for the University of Georgia, but since 1982, it’s the official state museum of art. Since it’s 1948 début, patrons of all ages have enjoyed the programs, exhibitions, and other events. Note to self, plan visit to this museum during a Bulldogs football game this fall! Located on the Riverwalk in downtown Augusta, the museum is the first museum dedicated to art and artists in the South. They also have a reference and research library, the Center for the Study of Southern Art. Not only do they host eight to ten temporary exhibitions every year, but they also have school and adult programs, workshops, and internships. Here is a museum I should’ve visited when I came to Savannah! As it states on their website, “the SCAD is a premier contemporary art museum which is established to enrich the education of SCAD students and attract and delight visitors.” The students have great benefits such as workshops, lectures, gallery events and more. For us visitors we have the benefit of seeing exhibitions and events. The building is pretty much of work of art! Lastly here is a museum I’ve visited many times. This is located in my hometown of Columbus. Love how the exhibitions are staged. I can’t recall my last visit, but I plan on going sometime this weekend. The museum has housed exhibitions like Andy Warhol, Dare to Wear: Art as Fashion, and Sound & Vision. There is also the permanent Chattahoochee Legacy, which tells the history of the Chattahoochee River, from Native Americans, founding of Columbus, slavery, Civil War till the present. Great for everybody, family, and kids. Those are the five and if you are visiting in any of these cities, you might want to check them out. I’m sure admission is free, but you still need to go to their websites to check! Enjoy your weekend, be blessed! Till next week! Richelle, you can certainly visit the Georgia Museum of Art on a game day! We’re open Tuesday through Sunday almost all year—closed just for a few major holidays. So come to campus early this football fall and check out our permanent collection and ever-changing temporary exhibitions! Our Saturday hours are 10 a.m.–5 p.m. Thanks for including the museum in your roundup.